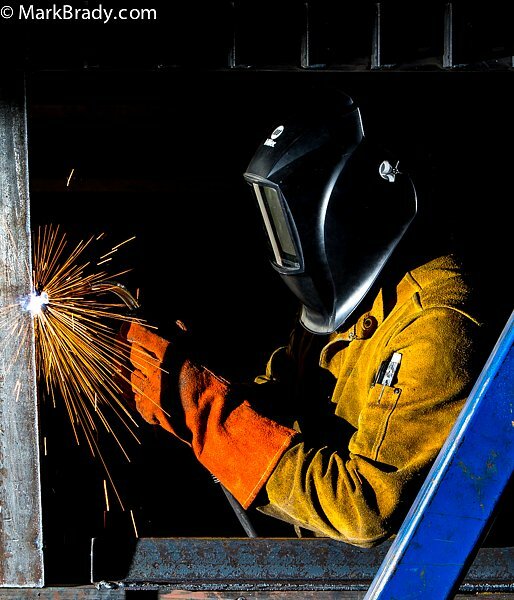 For this client I suggested a shoot in the metal shop while the welders were working. I think businesses should show not only the finished product but everything that goes into making it. I really liked the natural light but also used some extra strobes for accent.